The original book, Takeout Doubles, took me eight months or so to write. The rewrite took over a year to write. 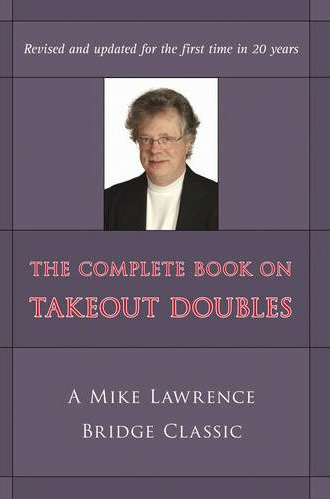 This latest version of Takeout Doubles includes new material, much of which has not seen print anywhere. All of the previous material was changed where needed and there are hundreds of new example hands with questions and answers.